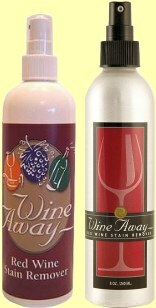 Several years ago wine-pages tested and was very impressed by a seeming ‘miracle product’, the Wineaway red wine stain remover. 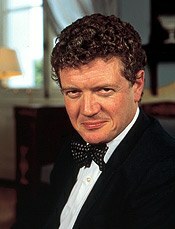 You can read Tom Cannavan’s 2002 report here. Unfortunately this clever American stuff – organic, environmentally friendly and effective – had very limited distribution in the UK. Now, European distributor Phillips Provan International has taken the product on, and although they are looking for new high street listings, they have already got the product into more places than ever before, with both Lakeland and Robert Dyas stores now stocking it. Shown are the 360ml plastic and more elegant 240ml bottles, but our favourite probably remains the pocket-sized 60ml bottle, that’s an ideal travel size. For more information there’s also a new Wineaway UK web site at www.wineawaydirect.co.uk. and potential stockists of the product can contact Phillips Provan International on 020 7078 7221. Berry Bros & Rudd, arguably the world’s most innovative wine retailer, has just added a whole wine course to its multi-award-winning website, as a series of video Podcasts. The Podcasts are of very high quality, with Head of Berry’s Wine School, Rebecca Lamont, introducing the basics of tasting in episode one, before leading tastings of Sauvignon Blanc and Chardonnay in episode two. She is an excellent presenter and the information is clear and helpful. The downloads are free and can be viewed on PC, Mac or downloaded for multimedia MP3 players and iPods, with a new episode available every fortnight from Berry’s web site. Please see Virtual Wine School to view or download the Podcasts. A row of vines – is it better than money in the bank? Glenguin winery in Australia is owned by Robin Tedder MW, whose Scottish heritage includes his title of Baron of Glenguin, originally bestowed on his family by King George VI. Robin was in Scotland at the start of September to visit the Glengoyne distillery near Glasgow. Glengoyne’s original name (until 1908) was in fact Glenguin too, and the winery and distillery’s names come for shared roots. The two are coming together as Glengoyne is about to blend and bottle a Shiraz-finished malt whisky, and the casks have come directly from Glenguin where they held Robin Tedder’s Hunter Valley Shiraz. Robin helped Distillery Manager, Robbie Hughes, to select the best casks of Shiraz-finish and begin making the blend for bottling and release sometime in the New Year. Whilst other wine cask-finished whiskies exist, the fact that the winemaker has been so closely involved and supportive throughout this collaboration is unique. The count-down to Christmas has started (for some) with a whole host of fairs and festivals about to hit out towns and cities. The Wine Show returns to London at the Islington Business Design Centre, 25-28 October. Visitors can sample a choice of thousands of wines by the glass, and quiz guest experts including sommelier Matt Skinner. The Tasting Theatre will be running regular tutored sessions, and there’s a ’10 minute tasting school’ sponsored by Thresher’s. Tickets cost £10-£16 from www.wineshow.co.uk, but there are early booker offers. The Country Living Magazine Christmas Fair is at the same London venue 14-18 November, with advance tickets costing £11.00. There are several food and wine exhibitors, including Brown Brothers, The Real Wine Company, The Tasting Room, Dutchy Originals, Kinvara Smoked Salmon and Sloe Motion Gins (see www.countrylivingfair.com). Meanwhile, Scotland is not left out with the Food, Glorious Food annual Highland Feast being held at venues throughout the Highlands of Scotland from 28 September to 14 October (visit www.highlandfeast.co.uk for tickets and details).